Really Recommended Posts 11/02/12 | J.W. Wartick -"Always Have a Reason"
Snowy Owl Post edition of Really Recommended Posts. 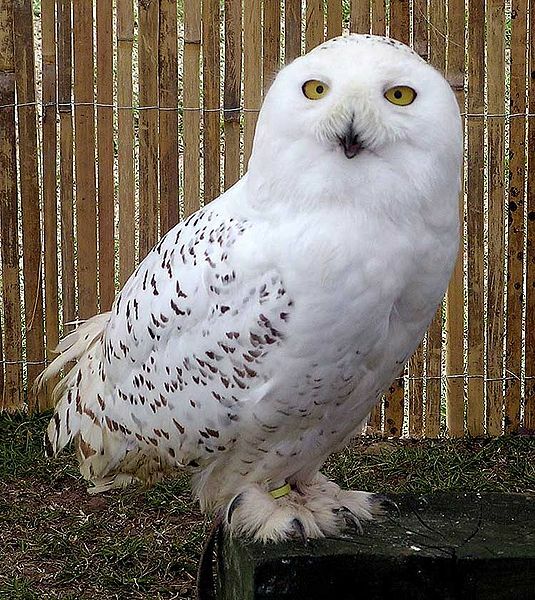 Why snowy owl? Because it is snowing outside here. This week, I feature a whole range of posts. Yes, they are diverse. Yes, they are awesome. Read them all. Let me know what you think. Share with friends. Stop Teaching Young Christians About Their Faith– say what!? Yes, you read that right. Stop teaching about faith. Challenge them to more than rote memorization. Check out this fantastic post. Young Earth Creationism and the intensity of volcanism– Is there a curve of decreasing volcanic activity that supports old earth creationism? The Geochristian investigates. You Say the Bible Advocates Slavery?– Erik Manning shares some insight into a common ad hominem attack against Christians and the Bible. Does the Bible actually advocate slavery? What kind of morality is that? I highly recommend this post. A short, humorous video in which William Lane Craig discusses the multiverse. Mandy Patinkin: 25 Years After ‘The Princess Bride,’ He’s Not Tired Of That Line– No, this is not really related to apologetics. But it is about “The Princess Bride “- one of the best movies of all time, in my humble (correct) opinion. This article is phemomenal, by the way. Very well worth the read if you liked the movie. If you didn’t….. well, let’s just say I’m wary of your taste in movies! (I jest… mostly!). Four Myths About the Crusades– The Crusades are a hot-button topic. They are used as an easy way to bash Christians. What actually happened? What can history teach us about the Crusades? Check out this post to find some thought-provoking answers. Biden on Abortion– The VP Debate ended with a question about abortion. I largely think both VP Candidates failed to answer consistently, though Paul Ryan’s answer was slightly better. Biden’s answer was patently absurd. Check out Nick Peters’ response to Biden’s incoherence on the topic of abortion. Love the WLC video. I’m going to see him talk in Wisconsin in a couple weeks. So am I! Are you going to the EPS Apologetics Conference?